This week for my Sunday Supper post, I am preparing my version of Julia Child’s Orange-Almond Jelly Roll Cake. 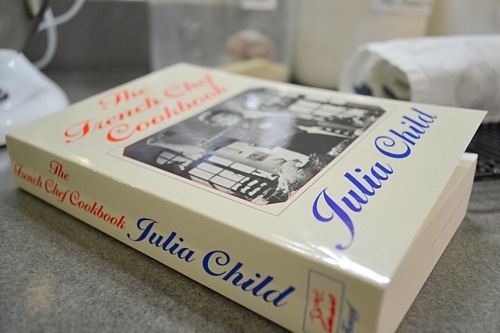 All of our Sunday Supper team is cooking recipes inspired by Julia Child this weekend. To begin, preheat your oven to 375 degrees. 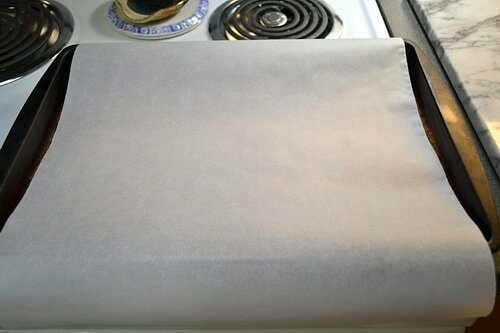 Line a jelly roll pan (11x17x1) with parchment paper, making sure to have some excess on each side hanging over. 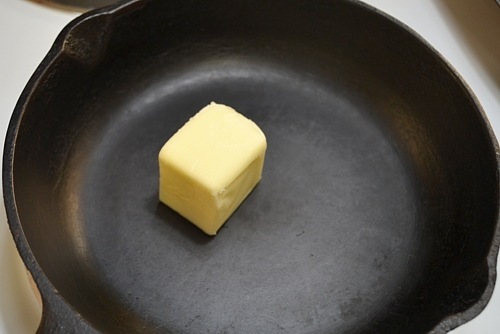 Begin melting 3 tablespoons of butter over very low heat. As soon as it is melted, remove it from the heat. You want your butter melted, but not hot. 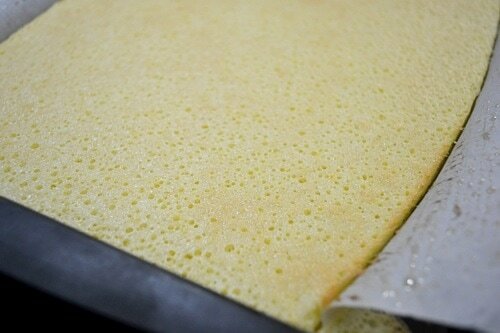 Brush part of the butter over the parchment paper, and exposed sides of the pan. The almonds should be about the consistency of cornmeal. Separate 3 eggs. 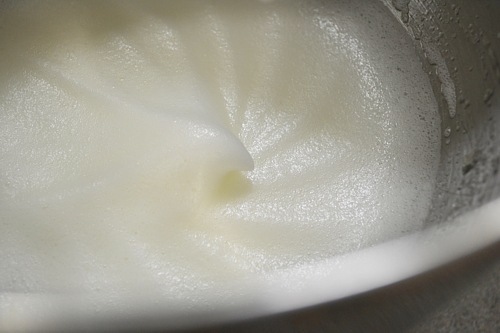 The whites into a mixer bowl, and the yolks into another large bowl. Zest an orange into the bowl with the yolks. 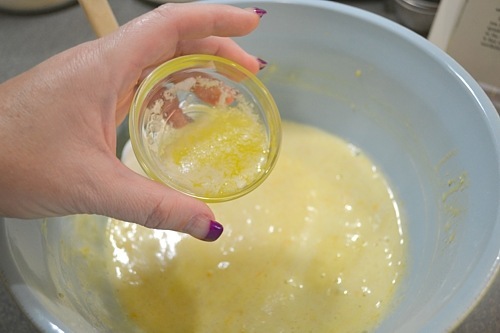 Squeeze the orange’s juice through a strainer, into a measuring cup. You need 1/3 cup of orange juice. 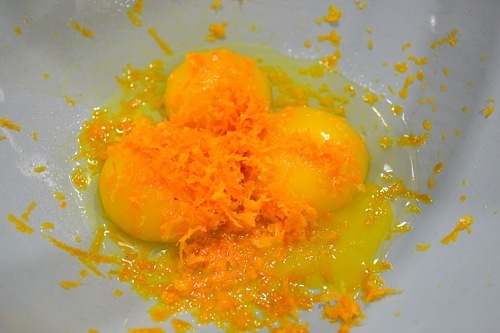 Whisk your yolks and orange zest together, then whisk in 2/3 cup sugar. Whisk in your orange juice. Next whisk in the almond meal. Then 1/4 teaspoon almond extract. 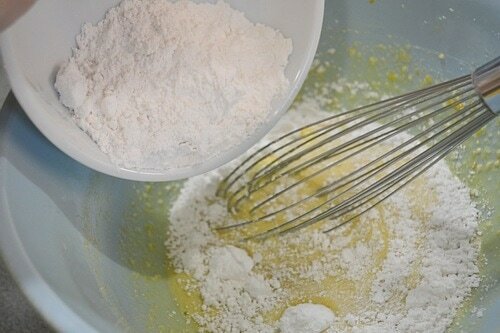 And finally whisk in 3/4 cup cake flour – whisk until smooth. Beat them on high speed until soft peaks form. 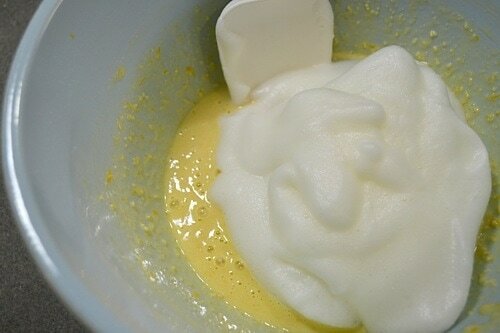 Pour the egg whites into the batter and begin folding them in. 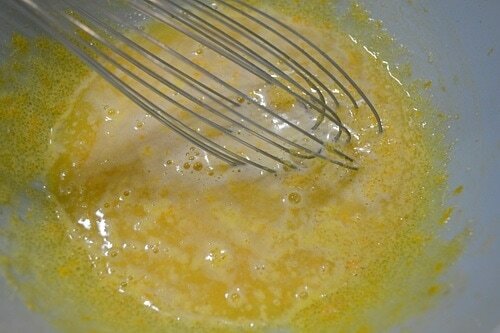 When they are just about combined, fold in 1 1/2 tablespoon of the melted butter. Pour the batter into your pan and spread it even. 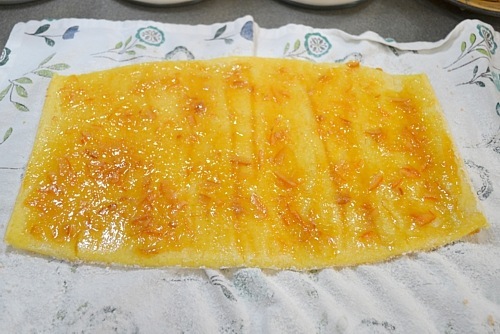 Bake it in the oven for about 10 minutes, or until it is springy to the touch. 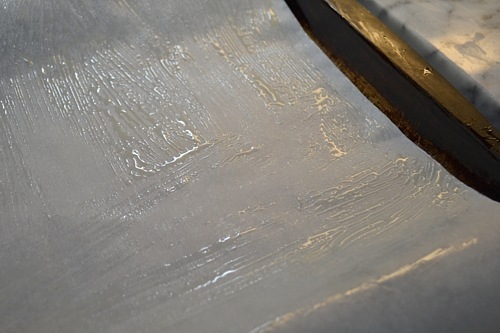 Don’t wait for it to be golden or it will be overcooked. 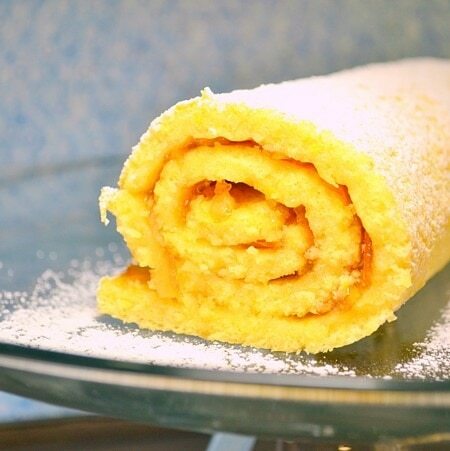 To create the roll, lay a linen tea towel on your counter and give it a good dusting of powdered sugar. Gently turn the hot cake out onto the towel. 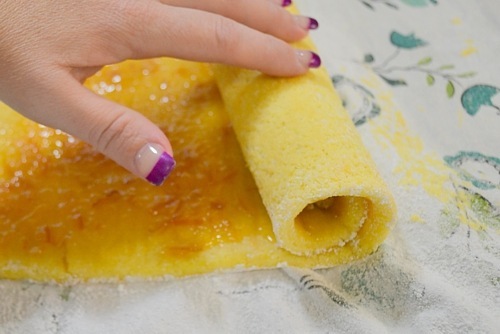 Remove the paper and give it another light dusting of powdered sugar. 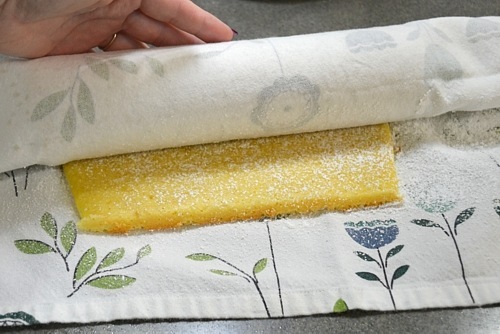 Then roll the cake up from one end, towel and all. Allow it to cool completely on a cooling rack. Once it is cooled, you can fill it with whatever you like. My intention was to fill this with a mascarpone cheese filling. 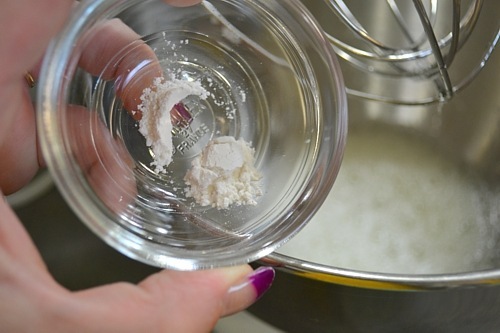 Combine 8 ounces of room temperature mascarpone cheese with 1/3 c powdered sugar, beating until smooth. 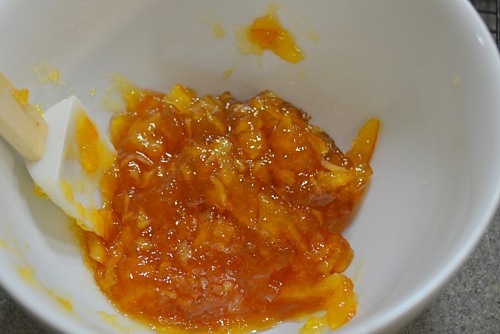 So I scooped out about 2/3 cup of marmalade and gave it a stir to soften it up. Then I spread it all over the top of the cake. Whatever you decided to fill yours with, this is what you would do. 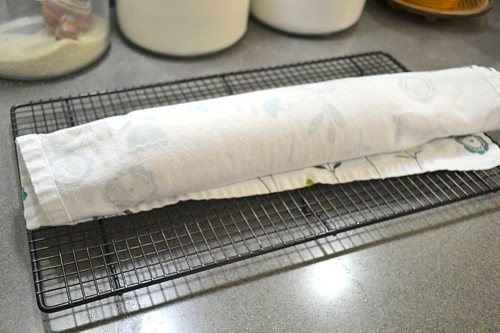 Then roll the cake back up, minus the towel. Now trim off the uneven edges, and give it a dusting of powdered sugar. 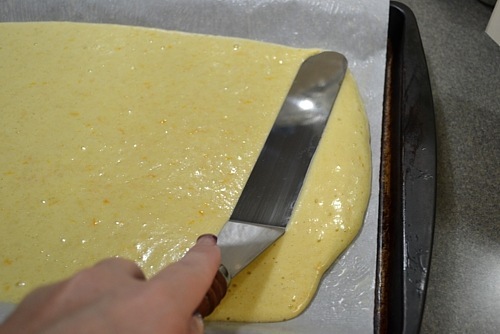 Allow the cake to chill for an hour or so when you have a cheese filling, so that the cheese can set. NOTE – the orange marmalade was seriously over the top with the orange. 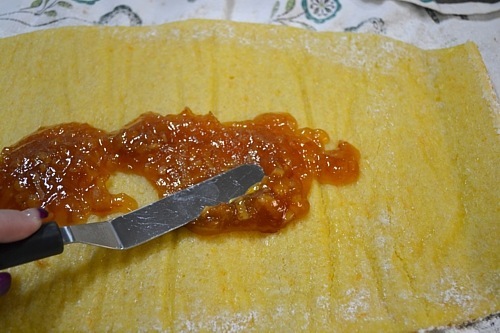 The sponge cake was perfect, but the marmalade was simply too much. Go for the cheese filling! 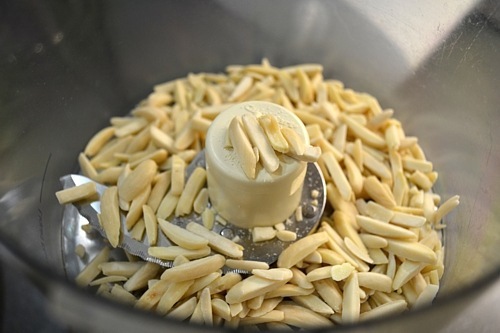 enough blanched almonds to make ¾ c almond "meal"
Begin melting the butter over very low heat. 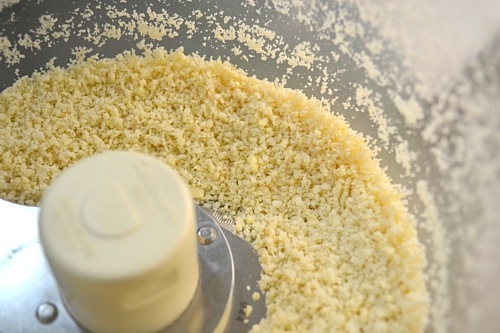 In a food processor, pulverize enough blanched almonds to make ¾ cup of almond "meal." The almonds should be about the consistency of cornmeal. Separate the eggs. 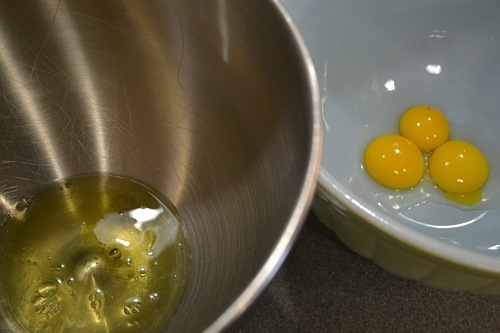 The whites into a mixer bowl, and the yolks into another large bowl. 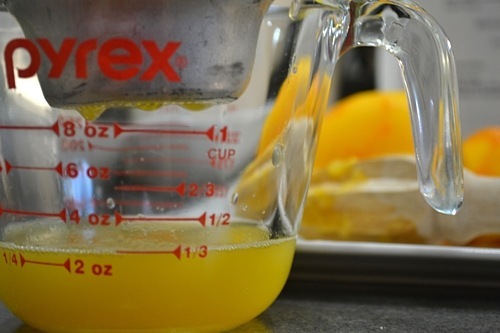 Squeeze the orange’s juice through a strainer, into a measuring cup. You need ⅓ cup of orange juice. 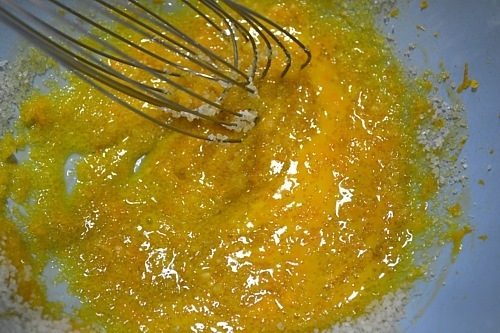 Whisk your yolks and orange zest together, then whisk in the sugar. 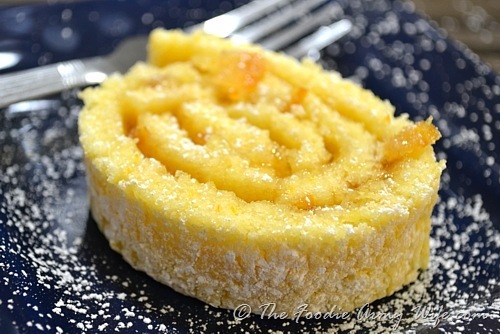 Whisk in your orange juice, then the almond meal, the almond extract, and finally the cake flour – whisk until smooth. Now to the egg whites. Begin mixing them over medium speed until they get a little frothy. 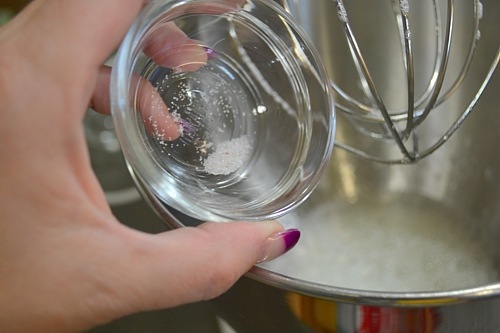 Sprinkle in 1the cream of tartar and salt. Beat them on high speed until soft peaks form. 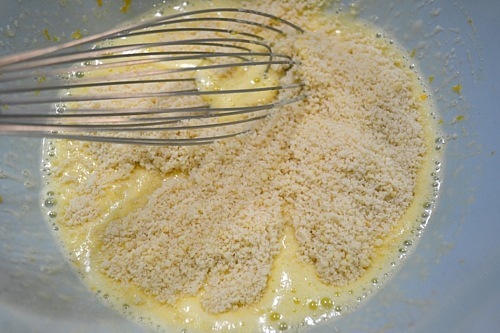 When they are just about combined, fold in 1½ tablespoon of the melted butter. 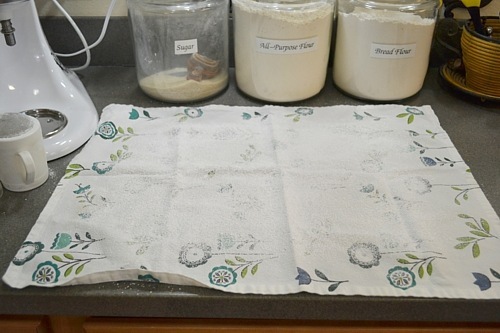 To create the roll, lay a linen tea towel on your counter and give it a good dusting of powdered sugar. Gently turn the hot cake out onto the towel. Give it another light dusting of powdered sugar. Once it is cooled, you can fill it. Beat the room temperature Mascarpone cheese and ⅓ cup powdered sugar together until smooth. 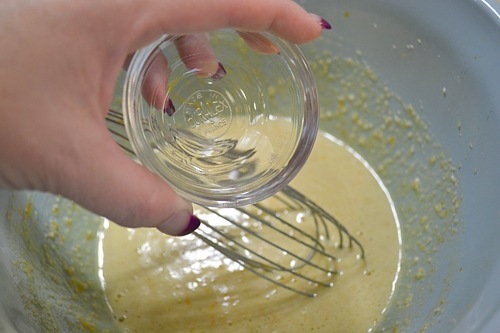 Gently spread the mixture over the whole surface of the cake. 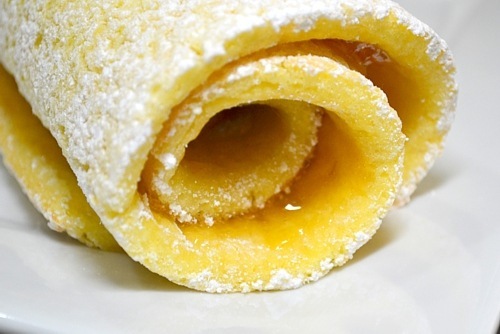 Now trim off the uneven edges, and give it a dusting of powdered sugar. 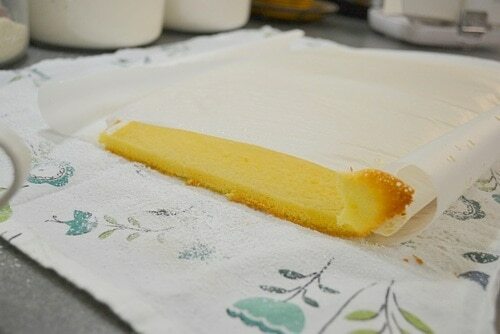 Allow the cake to chill for an hour or so when you have a cheese filling, so that the cheese can set. Yum! And I love the rainbows here. 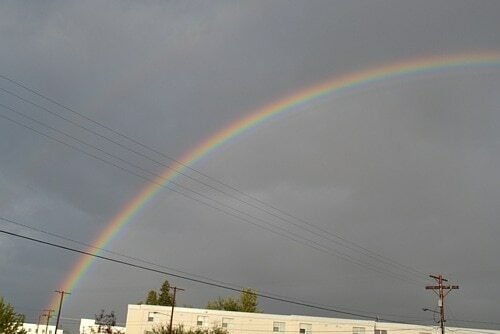 One time we saw a triple rainbow for the first time when we first moved here…at 11 pm!